Because the North American river otter lives both on the land and in the water, it is the perfect ambassador species for Friends of the Chicago River as we strive to reach the goal of a first class environment for the people, plants, and animals that share it. Highly social, playful, and possessing seemingly unlimited energy, otters are a joyful sight to the lucky observer and a returning otter is an indisputable sign that the Chicago River is making great strides in its recovery. Yet the river otter is highly sensitive to environmental pollution relying on the river for hunting, frolicking, traveling, and as a refuge from danger, so clean water and healthy habitats are essential. The Chicago River is not yet a preferred home for the river otter. A pinnacle species in the food chain, river otters exemplify the need for comprehensive and continued river restoration and improvement, benefits that will greatly impact people too. Supporting Friends in our efforts to improve the Chicago River, members of The Otter Society are those individuals and businesses that make a generous annual commitment to Friends of the Chicago River to continue the renaissance of this great natural resource. Choosing to invest in the thoughtful restoration and revitalization of the Chicago River and its watershed and making it a priority in ones philanthropy works to ensure that the renaissance will robustly continue and the river otter will return. For a downloadable and printable reply form, please click here to mail in your Otter Society contribution or make your Otter Society donation online. In return for your generosity and support of the Chicago River, Friends is pleased to recognize your gift and offer these opportunities for members to select from in the year following the contribution. Friends would be happy to customize experiences and events for our most generous Otter Society members. Current members of The Otter Society are listed here. All the benefits reserved for Friends members including free general admission, discounts on bridge lift events and tour tickets, and merchandise discounts at the Bridgehouse Museum; discounts on our amazing canoe trips; subscription to The River Reporter newsletter, volunteer bulletins, email action alerts; other opportunities for hands-on involvement; and invitations to Friends' special events. Chicago River Legacy Society members, who are thoughtfully providing for Friends in their estate plans, are also recognized as Otter Society members. Planned giving offers a special opportunity to help protect the Chicago River system for people, plants, and animals into perpetuity. If you have already included a bequest to Friends as a part of your estate plan, please let us know by completing our Chicago River Legacty Society form so that we may recognize you for your generosity. You may also choose to remain anonymous. Please click here for the form. 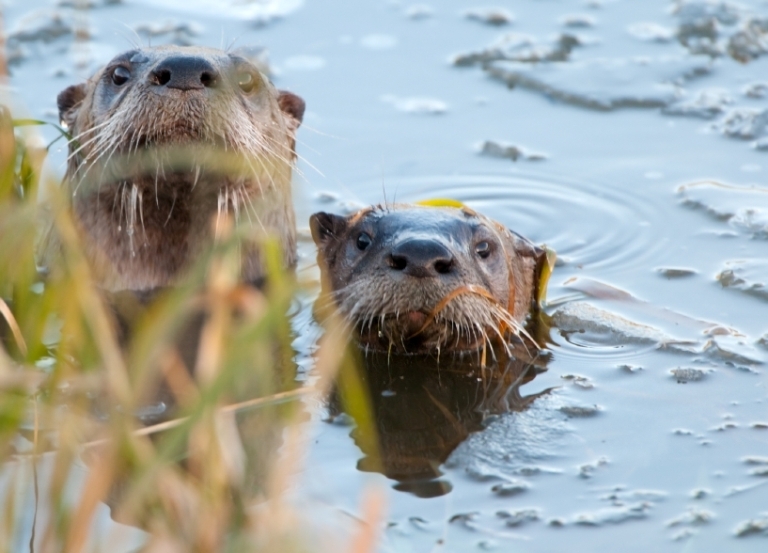 For any additional questions regarding The Otter Society, Planned Giving,Voice for the River – Friends Endowment Fund, Tribute or Legacy Gifts or Gifts of Stock, please contact Kim Olsen-Clark at (312) 939-0490 ext. 19 or kolsenclark@chicagoriver.org. Matching gifts can be included in the annual minimum to join The Otter Society. It's an easy way to double or triple the impact of your support! Please contact your human resources department at your company to activate your matching gift.